The reason for the sluggish sales? Greed. Ringside seats boast a $10,000 face value. The cheapest seats at T-Mobile Arena sell for $500. The ability of fans to purchase thousands of seats through Ticketmaster indicates sluggish sales. Current prices on StubHub speak well of the fight’s appeal. The cheapest ticket, a nosebleed seat about as far from the action within the arena as possible, sells for just under $1,600. The most expensive pass, a floor seat, asks for over $150,000. But several dozen tickets in that same section go for less than a sixth of that high asking price on StubHub, making the priciest seat a tough sell. Floyd Mayweather advisor Leonard Ellerbe shrugged off concerns over sales at Floyd Mayweather’s Thursday workout. “Right now, we have over $60 million in the box office,” he explained. “And you tell me, what part of that remotely looks like ticket sales are slow. This isn’t a damn Rolling Stones concert. That’s the only thing that sells out in seconds. It certainly did for Floyd Mayweather-Manny Pacquiao. The late rollout of tickets and astronomical prices initially indicated trouble. But the event ultimately set boxing box-office records. Mayweather-Pacquiao shattered the previous gate record of $20 million established by Mayweather-Saul Alvarez. It generated $72 million in ticket sales. But it did so at the MGM Grand Arena, which seats about 4,000 fewer spectators than the T-Mobile Arena that hosts Floyd-Conor. 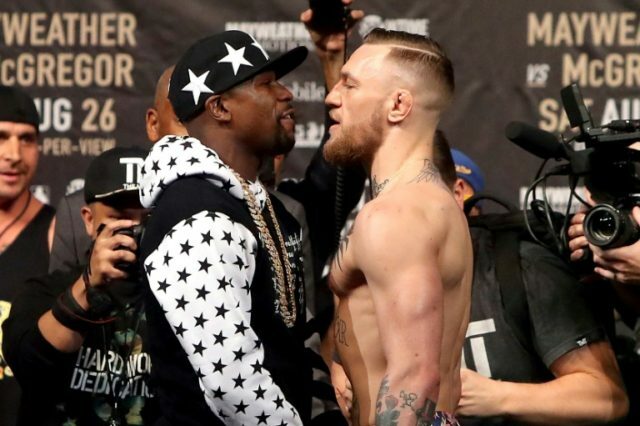 Bizarre boxing box-office economics allow for Mayweather-McGregor to fall far short of selling out yet eclipse the all-time mark for gate receipts. When the promoter prices tickets not to sell but to turn rich men poor, this strange situation can occur.